India boosts of more than about 80 national parks in the country. While some are larger, some are more accessible. Many engendered species are to be found in these parks. People from around the globe come here to take a glance of these animals. For example, in case of the infamous tiger, the chance of spotting it depends on the size of the national park and the number of tigers. Hence, these factors are important too. The Corbett National Park is the oldest national parks in India. Established in 1936 at the foothills of the Himalayan range of Uttarakhand has always been one of the hot spots of the wildlife lovers. It is famous for protection act for the Bengal Tigers. The park has been named after the popular wildlife story writer Jim Corbett. The beauty and wilderness of the park acts a magnet for wildlife enthusiasts across the globe. This wildlife tourist destination of India has also shot various documentaries to safe the mighty Bengal Tigers. 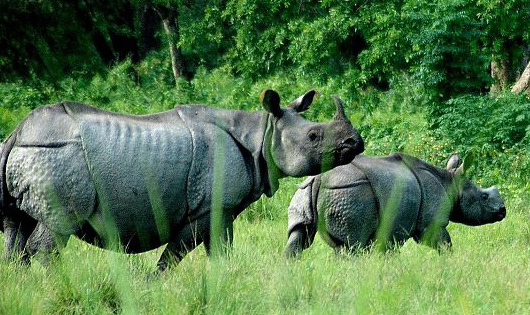 Kaziranga National Park is the only natural habitat of the endangered One-Horned Rhinos in the world. It is located in the Golaghat district of Assam and is one of the largest wildlife sanctuaries of Northeast India. It is one of the most highly visited parks of the world. This park is also abundant in tigers and other wildlife species. Kaziranga National Park has also been declared as Tiger Reserve Forest in 2006. Elephants, Wild Buffaloes and Swamp Deer are few other inhabitants. A large number of migratory birds are also witnessed during the winters. Kanha National Park of Madhya Pradesh offers the most eye-catching views of the animals in their natural habitat. The park established in 1955, became famous after its attempt to save the rare and almost extinct species of the Swamp Deer known as ‘Barasingha’. The sunset point called Bamni Dadar provides the most spectacular view. The entire park can be glanced at once from this point. 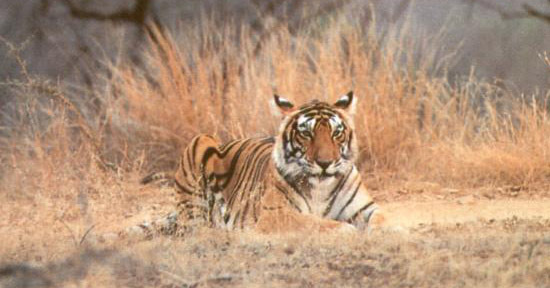 The Bandhavgarh National Park was declared as a national park in 1968. It is one of the largest national parks of Madhya Pradesh located in the Umaria district. The park has a considerable number of Tigers, Leopards and Deer as well. The White Tigers of the National Park is looked for the most. The Bandipur National Park, located 80 km away from Mysore and almost 215 km away from Bangalore is the most popular national park of South India. 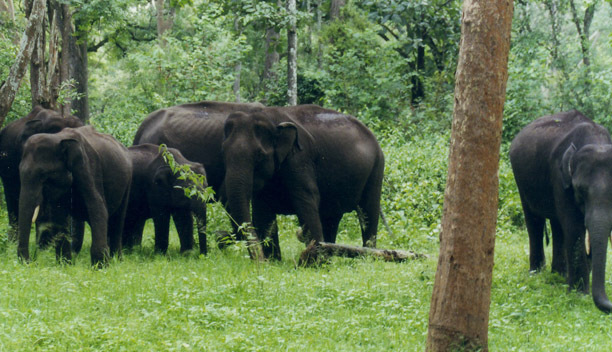 Elephants and several other endangered species find their home in the park. It is surrounded by the lush forest of the Deccan Plateau and the Western Ghats. 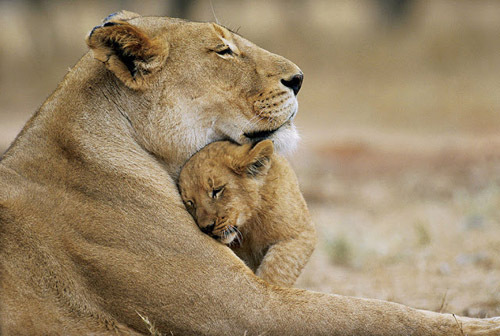 The Gir National Park and the Sasan Gir Sanctuary situated in Gujarat are the only wildlife sanctuaries with Asiatic Lions in India. October-June is the ideal time to visit the place as you can enjoy these majestic beasts strolling all the way. The Gir National Park is one of the largest and elegantly preserved areas for the Asiatic Lions and was established on 18th September 1965. Rivers and streams flowing are always occupied by various species. The Pench National Park in Madhaya Pradesh, also known as ‘Mowgli Land’ has Tigers, Leopards, Sloth Bear, Wild Dog, Barking Deer and a lot other species. There are more than 170 species of birds, hence form one of the best place for birdwatchers. ‘The Jungle Book’ by Rudyard Kipling is based on the natural surroundings of this national park only. Sundarbans National Park from West Bengal is spread over 54 islands and extends into neighboring Bangladesh. The park is accessible only by boats. The present Sundarbans was declared as the core area of Sundarbans Tiger Reserve in 1973 and a wildlife sanctuary in 1977. It is a magnificent tangle of mangrove jungle. Keoladeo Ghana National Park was a man-made wetland that was later declared as a National Park in India. Formerly known as Bharatpur Bird Sanctuary, the park hosts a large number of avifauna during the summers. It is the best place to observe exotic migratory birds and other birds of India in one place. It is located in the Bharatpur district of Rajasthan and has been an attraction spot for ornithologists and other zoological studies. 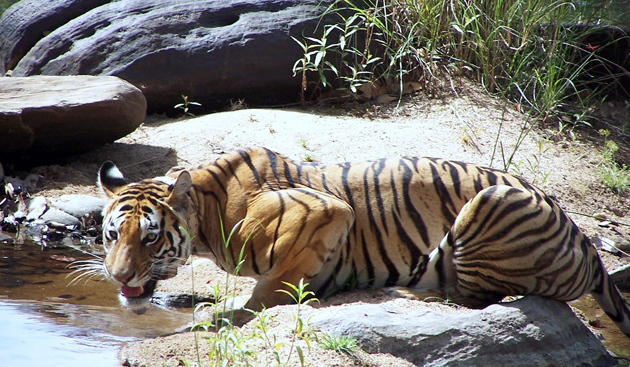 The Ranthambore National Park in Rajasthan is one of the royal national parks in India. The park is beautifully surrounded by the Banas and Chambal River and serves as an ideal habitat for the predators and other animals. The majestic Tigers are also found here. Leopard, Nilgai, Wild Boar, Sambar and Hyena are a few other spotted species. 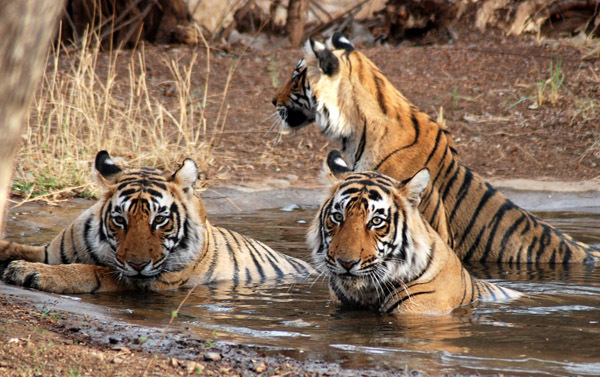 Do not miss the Tiger Safaris of this national park. 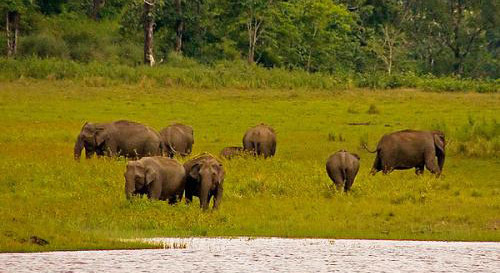 Elephants, Deer, Nilgiri Tahrs and Langurs along with various birds form a major part of attraction of the perk. Manas National Park has been added to the list very recenty. The National Park from Assam is abundant in rare and endangered species like Assam Roofed Turtle, Hispid Hare, Golden Langur and Pygmy Hod. The part has 55 species of mammals, 380 species of birds and a substantial number of reptiles and amphibians in its list. It is a popular destination for river rafting as well. Few other inmates includes Asian Elephant, Indian Rhinoceros, Water Buffaloes, Leopard and Assamese Macaques. 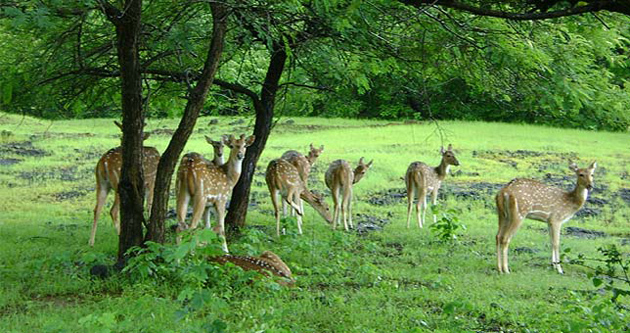 Panna National Park situated in Madhya Pradesh is one of the best maintained National Parks of India. It was recognized as a Tiger Reserve Forest in 1994. 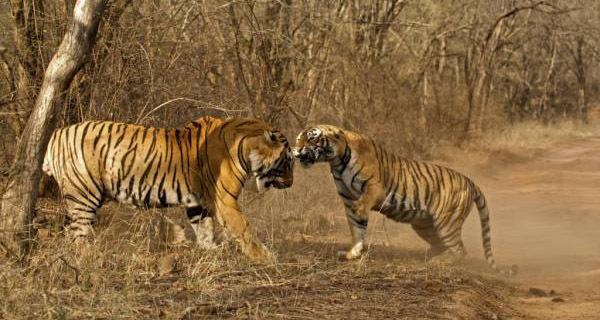 But the park has to face a heavy decrease in the number of Tigers due to poaching. A few other animals found in the park include Chital, Chinkara, Sambhar and Sloth Bear. Birds include Bar-headed Goose and King Vultures along with 200 other species of avifauna. Sariska National Park, located in the Alwar district of Rajasthan became a Wildlife Reserve in 1955. 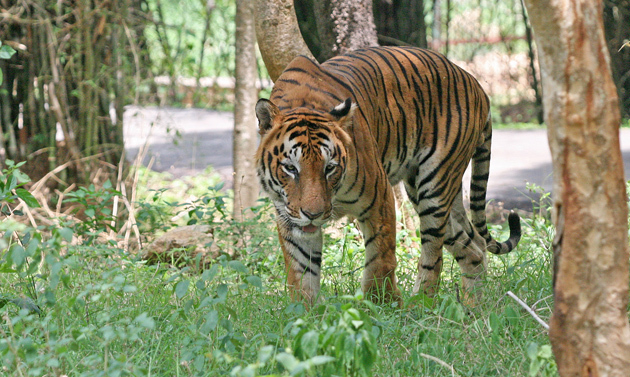 It was later declared as one of the Tiger Reserve Forests in 1978 due to its considerable number of tigers. Sariska National Park was the first national park in the world that provided natural habitat to the majestic Royal Bengal Tigers. A few other species in the park include Leopard, Jungle Cat, Stripped Hyena and Golden Jackal. The Dudhwa National Park is situated in Uttar Pradesh. 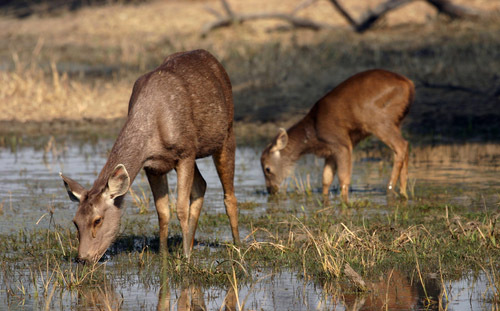 It was declared as a wildlife sanctuary for Swamp Deer in 1958 and got recognition as a Tiger Reserve in 1978. 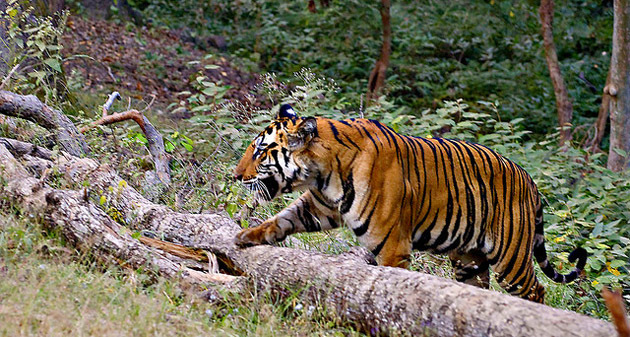 Nagarhole National Park, located in Mysore district of Karnataka has a considerable number of Tigers. Also known as ‘Rajiv Gandhi National Park’ has a significant number of Indian Bison, Leopard, Sloth Bear and Elephant to spot. The forest is rich in high commercially valued trees like Teak, Sandalwood and Silver Oak. The park has a total of 250 species of birds, 96 species of Dung Beetles and 60 species of Ants. It is also home to the endangered Mugger Crocodile. The Great Himalayan National Park is situated among the lush coniferous forest and the snow-capped mountain peaks Kullu in Himachal Pradesh. Snow Leopard, Himalayan Brown Bear, Blue Sheep, Musk Deer and Himalayan Thar are mainly spotted in this park. It is also home to 181 species of birds along with a large number of reptiles, annelids, amphibians and insects.